Two neurorehabilitation professionals give us their vision about the NeuronUP application, our professional cognitive stimulation platform. Javier Tomás Romero, a neuropsychologist working with NeuronUP and Marta Rubio, a psychologist who uses our software in her practice, give us their vision about their rehabilitation and cognitive stimulation work with NeuronUP. NeuronUP Neuropsychologist, Javier Tomás Romero: Therapists and neuropsychologists often do not have enough time, with the number of patients they have to see, to develop rehabilitation activities or cognitive training programs that fit scientific criteria. What NeuronUP gives is the opportunity to adapt these scientific criteria to the practice of their day to day work. Psychologist client of NeuronUP, Marta Rubio: No previous preparation of exercises is necessary, all those ideas and all that work I have right at my fingertips to be able to put it into practice directly. The truth is that we don’t have time in our day to day to develop a lot of material, but if I already have the strategy made, I can dedicate my time exclusively to my patients. 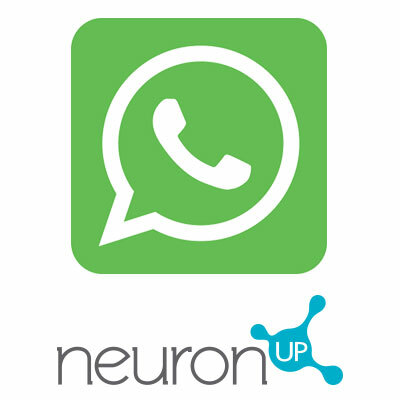 NeuronUP Neuropsychologist: The rehabilitation centers know that it is a software platform that is not finished and that is very positive, the fact that it is a tool in the cloud, that it is a flexible and changeable application, allows NeuronUP more contact with their clients to meet their demands and give them the possibility for improvement. NeuronUP client: It is true that what we communicate to the NeuronUP software development team are our needs for which they try to provide a solution. If a proposal isn’t feasible, they always have new proposals adaptable to the reality of the limitations of development, and also are always giving more than what we are asking for. They deliver on suggestions that I am not even able to visualize and put out great content based on the idea. NeuronUP Neuropsychologist:What we want to achieve is that we evolve in the way we work and that in the same way we try to integrate the new e-health technologies to our users, that is, to the patients; the therapists also have to take that leap, and I think they are doing it and are very open minded lately to using an app to make their work easier. NeuronUP client: NeuronUP provides a lot of help and it’s all very much faster than writing, as I used to do, on paper. I had to find the date of the folder and then had to go to what we had worked on before and organize the session. In the end it is true that we did not have much time to do much else and here with the NeuronUP software application you have everything you need at the a click of your mouse. 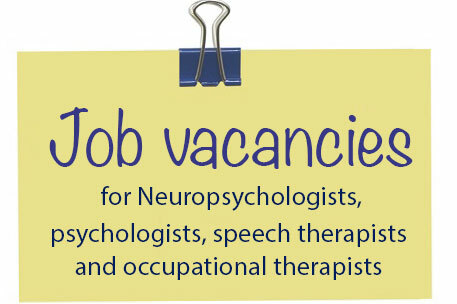 NeuronUP Neuropsychologist When therapists, neuropsychologists, speech therapists, in short, the whole range of professionals who are dedicated to neurorehabilitation see NeuronUP, what they are thinking and are seeing, is the possibility of adapting to a professional interface and rehabilitating to a specific cognitive profile. NeuronUP is cognitive training software made by professionals for professionals and that is one of the main differences we have with respect to other similar offers in the market. What is the NeuronUP software? NeuronUP is a software application for professionals involved in cognitive rehabilitation and stimulation processes. The application has numerous neurorehabilitation materials and resources to design rehabilitation sessions, as well as a patient manager to store the results in an orderly manner. The app is hosted on a Cloud Computing system, that is, it is a web app that the professional can access at any time and from any place to review the results of their patients, plan sessions, consult exercises, etc. In addition, thanks to it being in the cloud, constant generation of new material and platform software updates are available in real time. Another advantage of our application of cognitive training is that the professional can establish personalized sessions for the patient to perform from home or from anywhere the internet is available, having constant control over the sessions and adapting the exercises based on the needs of each subject. Activities manager: it contains a large number of materials that is exhaustively classified by cognitive functions worked or by activities of daily living for the sessions. Results Manager: a database where the results of all the activities carried out are stored in an orderly and practical way. We have experts and recognized professionals in the field of rehabilitation and cognitive stimulation, both nationally and internationally, such as Pablo Duque, Juan Carlos Arango, or Lucía Zumárraga, among others who collaborate with our neurorehabilitation application and provide free and online training to professionals in the field. You can also consult the theoretical framework that NeuronUP is based upon, supervised by some of the experts mentioned above. Research is key in the field of neurorehabilitation. 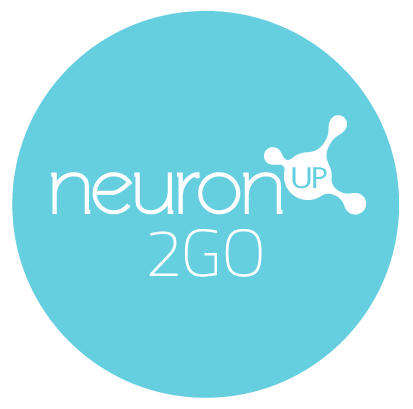 At NeuronUP,we are aware of the importance of investing resources and promoting research projects aimed at the study of neuropsychological rehabilitation in patients with brain damage, stroke, ADHD or mental illnesses; as well as promoting research aimed at early intervention to slow the process of cognitive deterioration in neurodegenerative diseases such as Alzheimer’s, Parkinson’s or multiple sclerosis. At NeuronUP we make our software available to all of our researchers so that they can access all of our cognitive stimulation application exercises – more than 7,000 – as well as our research and session creation tools.